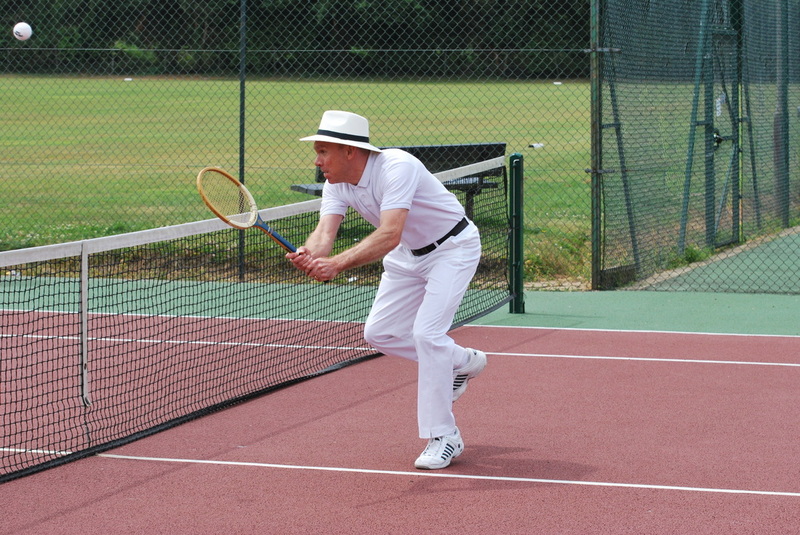 "In November 2015 we all witnessed the Aegon GB Davis Cup Team writing their names into history by winning the Davis Cup by BNP Paribas for the first time in 79 years. 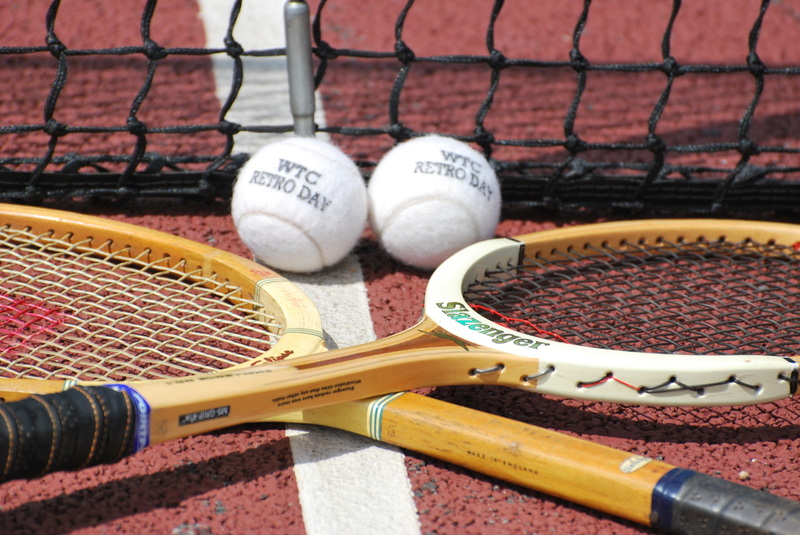 The Davis Cup Legacy is about inspiring the next generation to pick up a racket and 2016 will give thousands of new children the opportunity to play tennis for free." 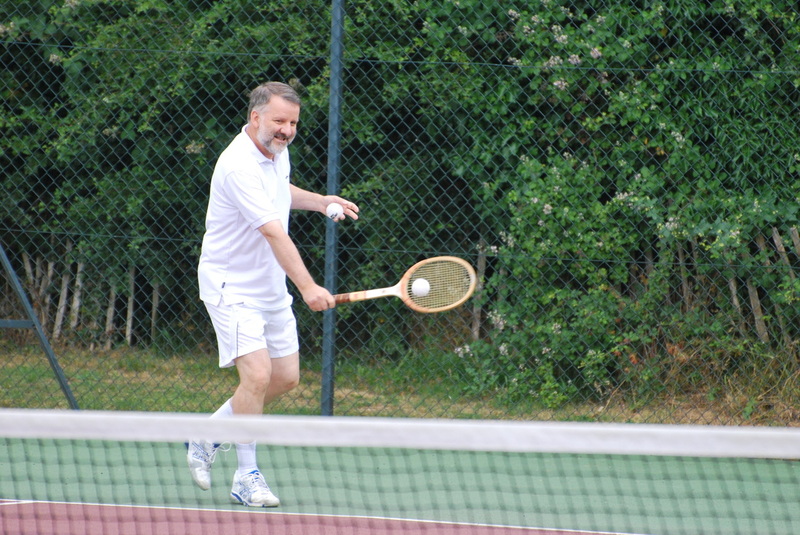 A very enjoyable evening to conclude the tennis summer season - good company, venue, food, and disco dancing. 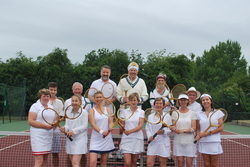 Over 50 members came along and we made a profit of about £150 which goes towards the netting fund. Thanks a million to Shirley Cauldwell who organised the event and to Anne Smith for introducing us to this venue - well worth a return visit. 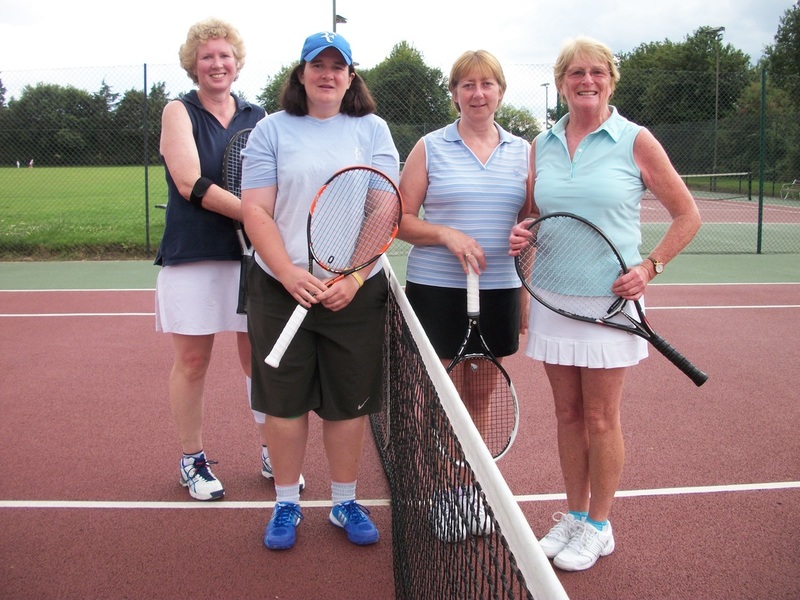 At the AGM on Tuesday 3 November 2015, Kathy Norkett was voted in as the new Ladies' Captain in place of Shirley Cauldwell who stood down after several years in the post. 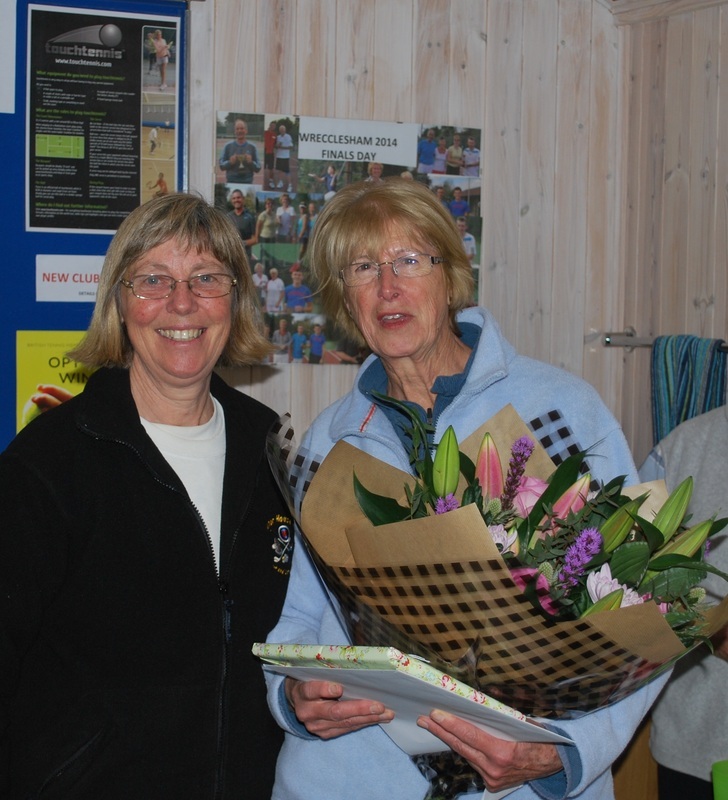 Many thanks to Shirley for all her hard work organising the league ladies' and mixed teams over the last few years. 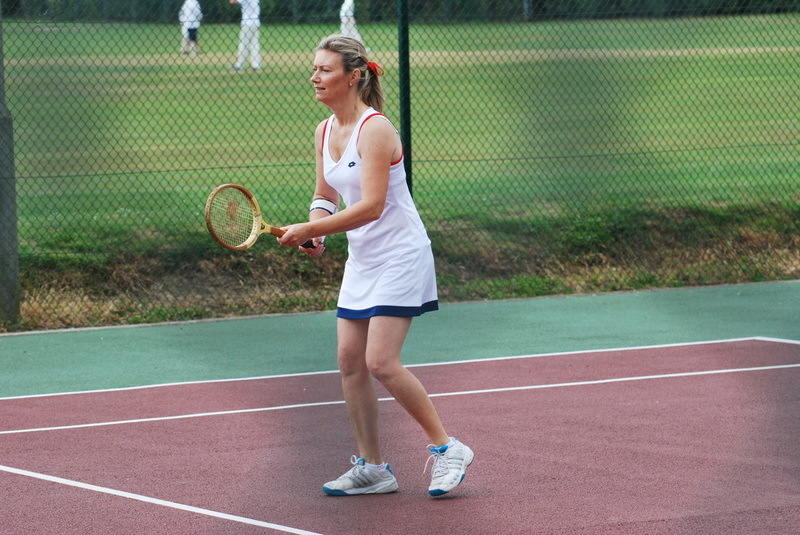 She continues as a valuable A team player and organiser of social events. Dolores Robertson joins the committee as a general member. 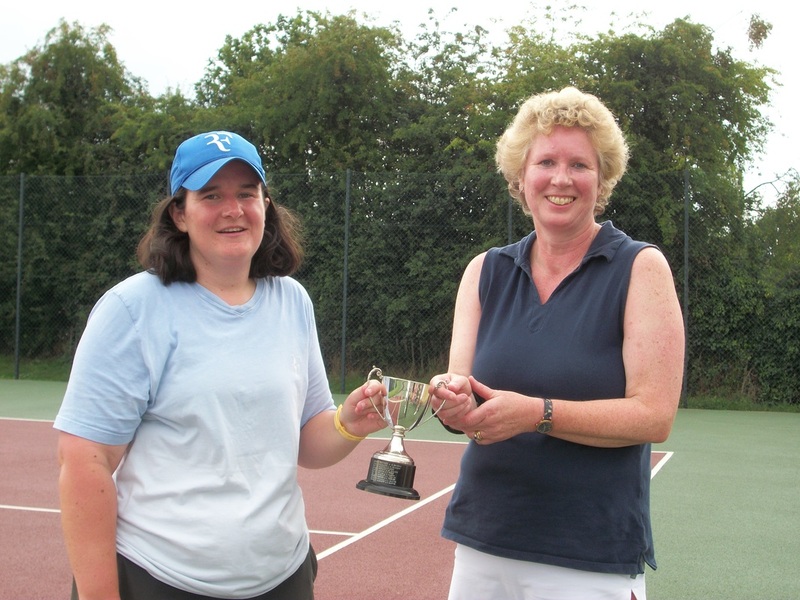 Linda Taylor (Membership Secretary), Anne Smith (Treasurer), Siobhan Biffen (Secretary), Diane Pettitt (Welfare Officer), Noel Flanagan (Men's Captain), Jean Townson (Webmaster), Gemma Wiltshire (Head Coach), Pam Hoad (Fixtures Secretary, off-committee) continue in post. Currently, there is no chairperson, as such, the Committee jointly perform this role. 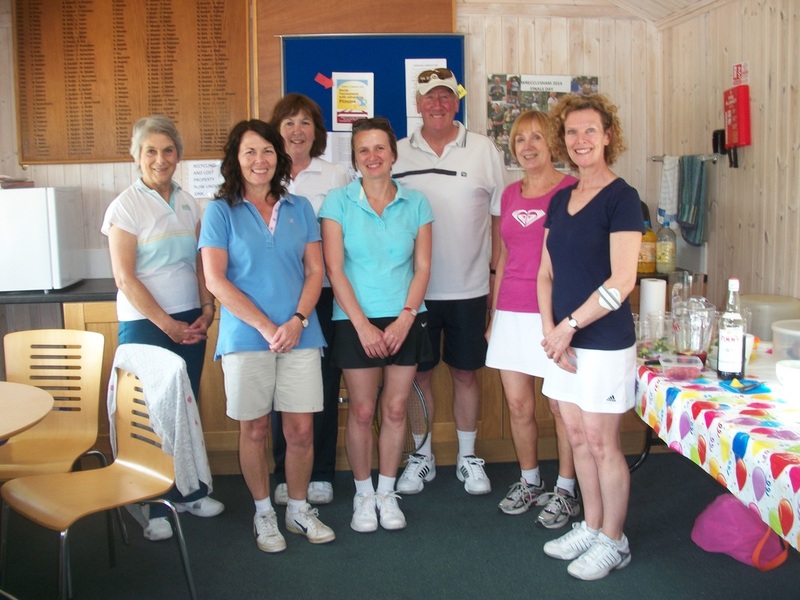 Some other members are required to keep the club going, and do not need to be Committee members to contribute. Thanks to all 13 ladies who participated. We raised £85 for the Phyllis Tuckwell Hospice. 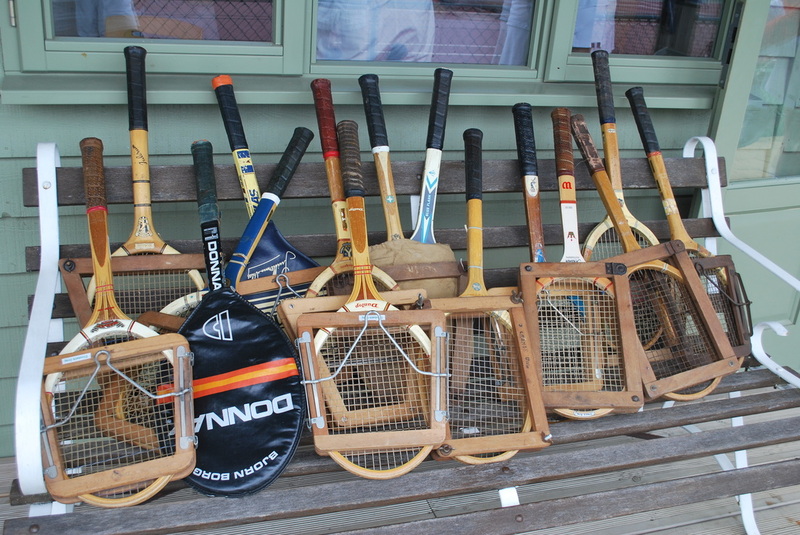 Nothing serious just great fun from the searches for retro tennis gear to our success (or not) at playing tennis with wooden rackets and white balls. 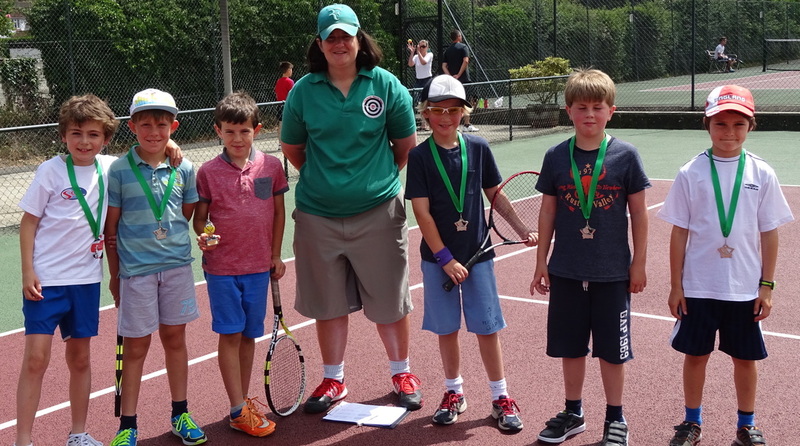 The winners were Alejandro Perez (who soon gave up the wooden racket for fear of breaking his wrist!) 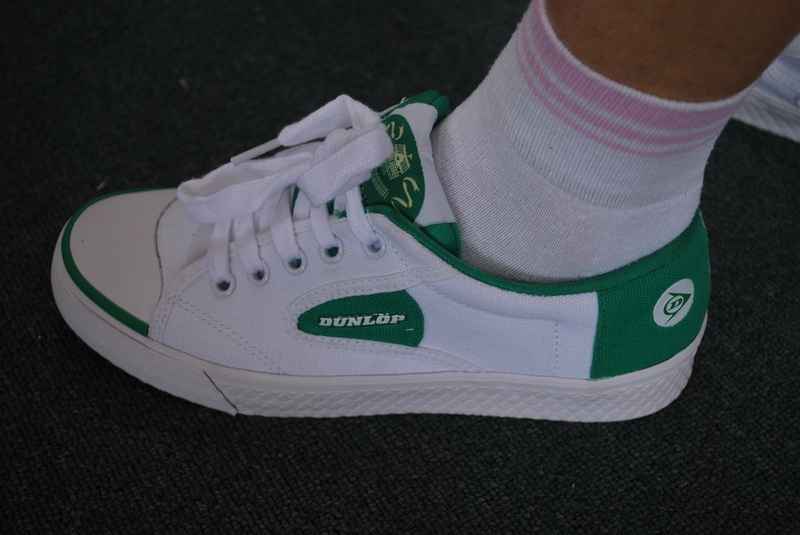 and Sandra Harvey. 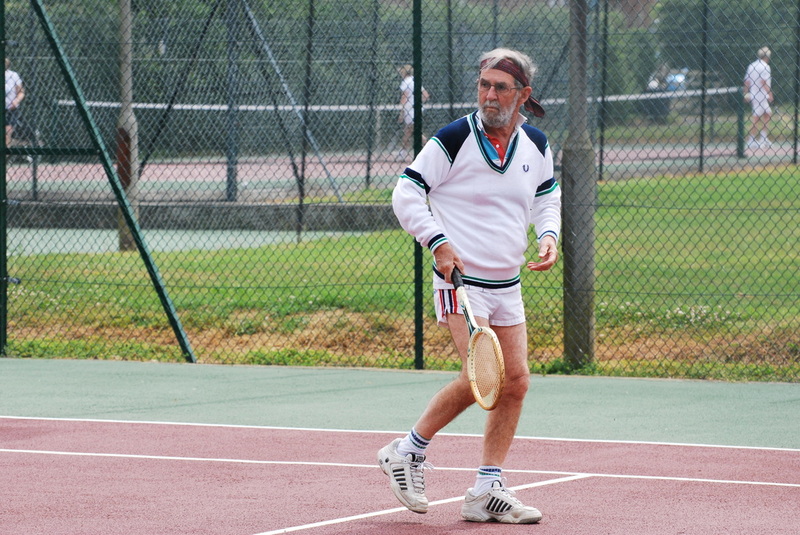 Noel and Shirley won the prize for best dressed man and lady - the Bjorn Borg wig and the frilly nickers were the distinguishing features! 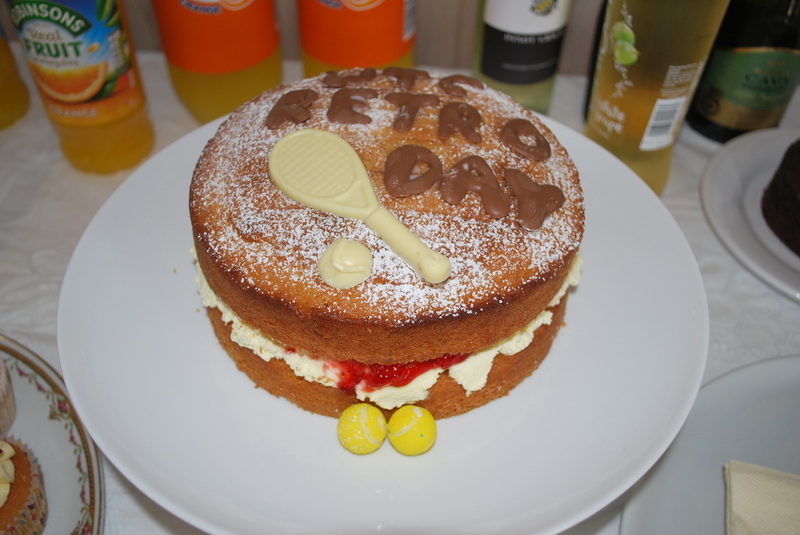 All enjoyed the lunch with traditional salmon & cucumber and egg & cress sandwiches, a brilliantly decorated Victoria sandwich cake, and, of course - strawberries and cream. 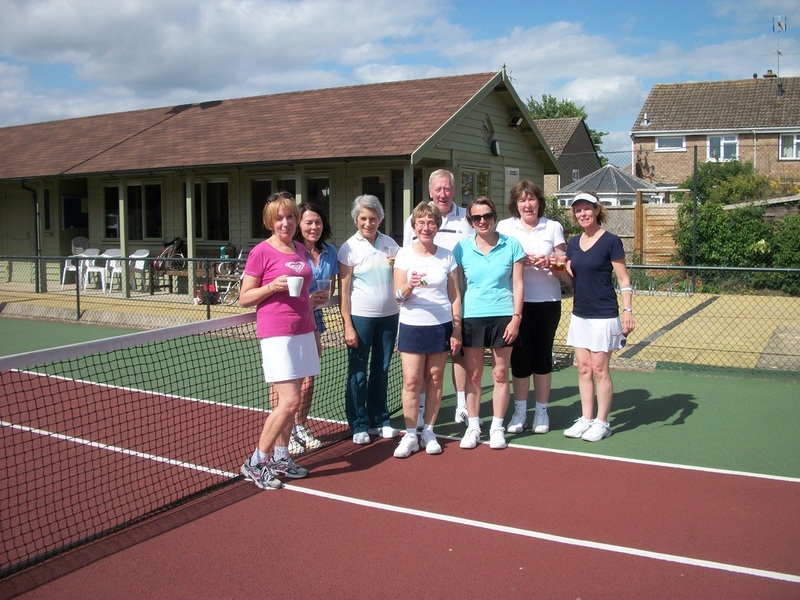 The PIMMS season started at WTC on Sunday 21 June 2015 when 10 players joined in the social tennis tournament with plenty of PIMMS for refreshment along the way. It was a close fought battle especially for second place when 3 players had equal scores. 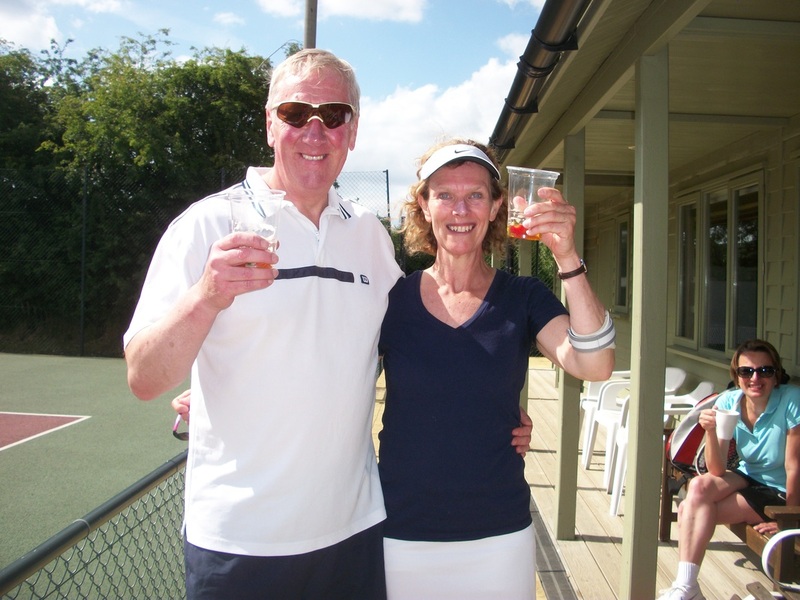 However the final 2 winners were Paul Townson and Sue Ridgers. 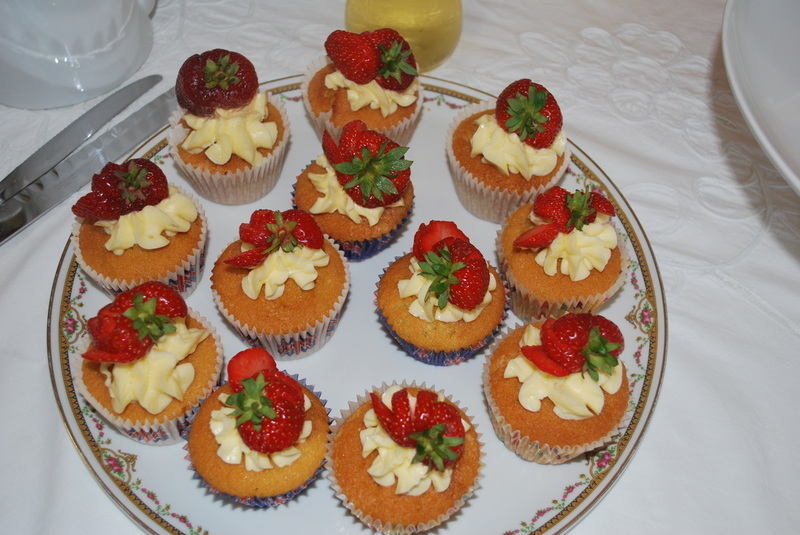 Tea and homemade cakes finished off the enjoyable afternoon. 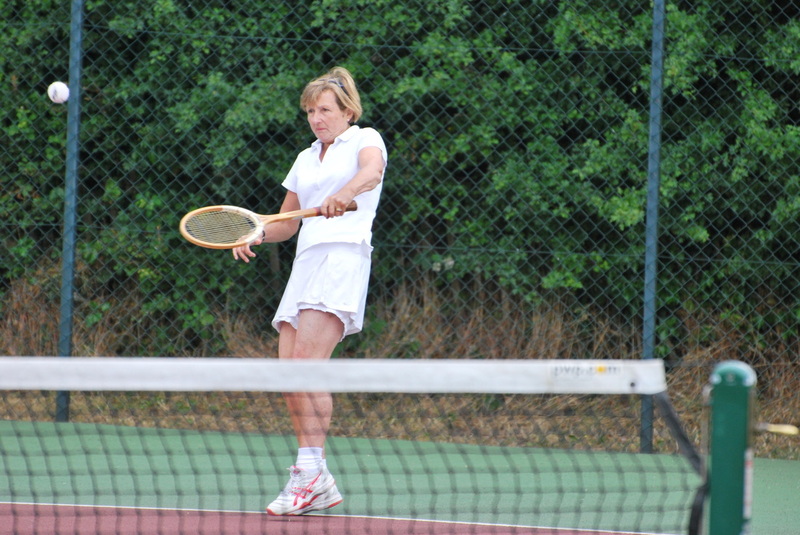 3 to 16 yr olds Coaching page. Our annual quiz night raised more than £400 towards the club's maintenance fund. Thanks to all who helped to make it an enjoyable evening. 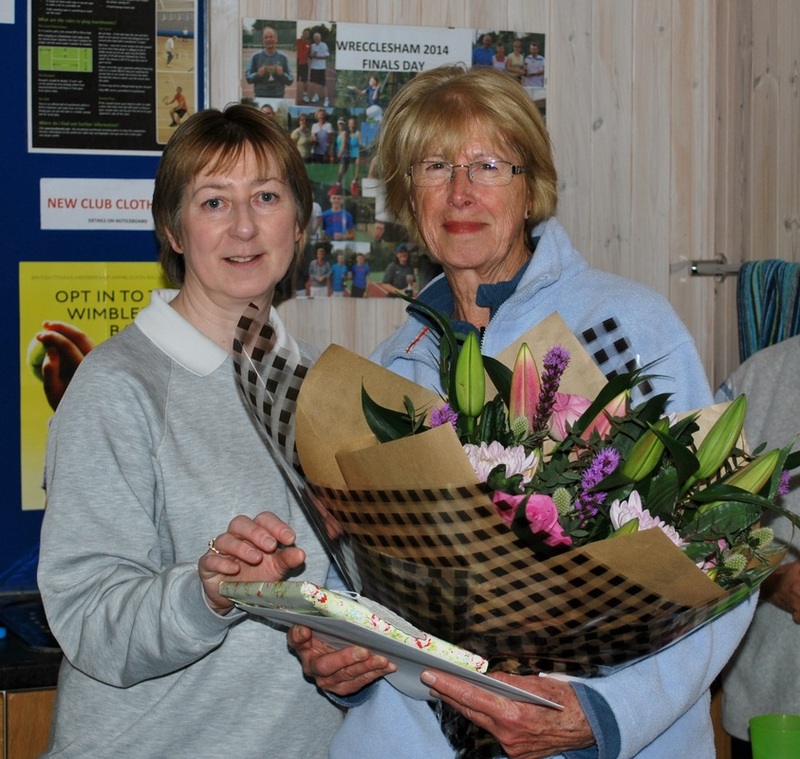 Good Luck Margot and Thanks for all you've done for the club during 10 years as Chairman! Margot will be a hard act to follow for the new chairman who has yet to be elected. The current committee members will continue to manage the club between them. 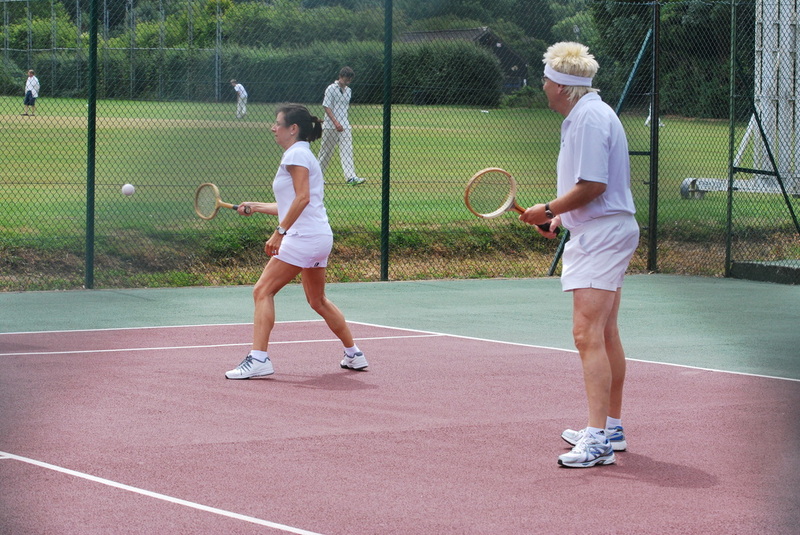 We welcome any club members who would like to help or apply for the role of Chairman. 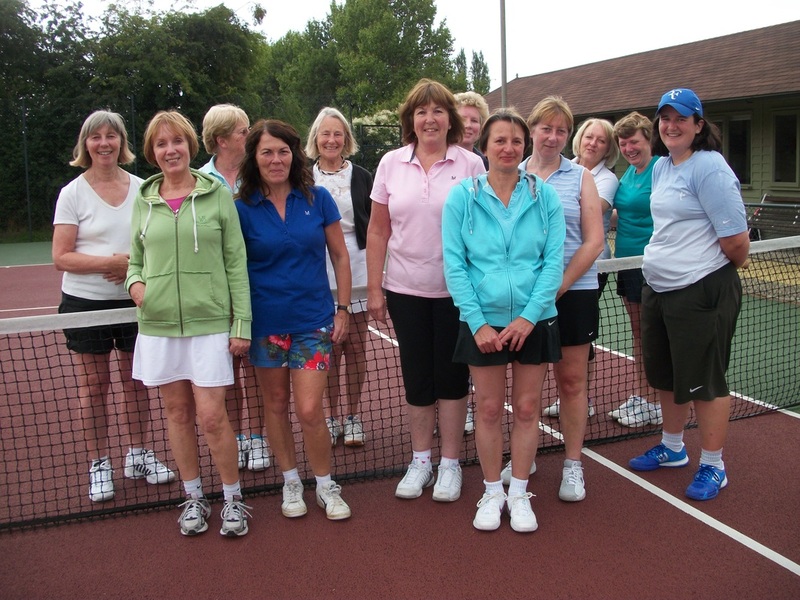 Please contact our secretary Siobhan Biffen by email: secretary@wreccleshamtennis.org.uk. 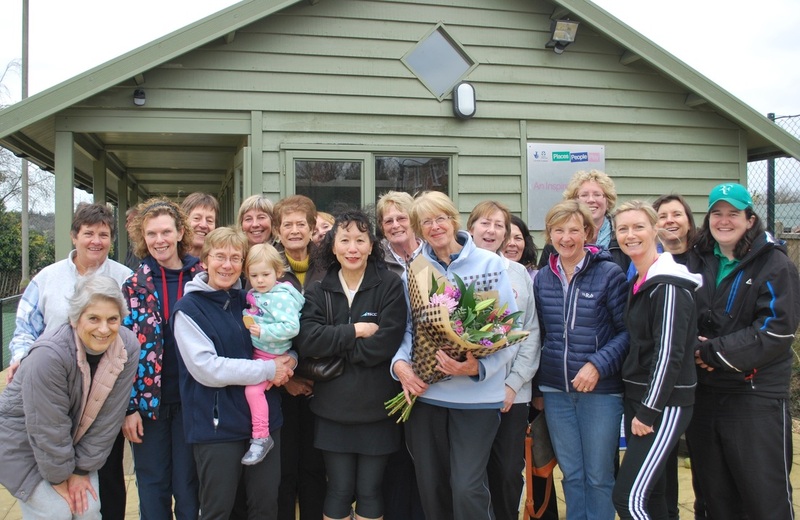 A fun afternoon for all and a presentation of flowers and garden centre vouchers for Margot. 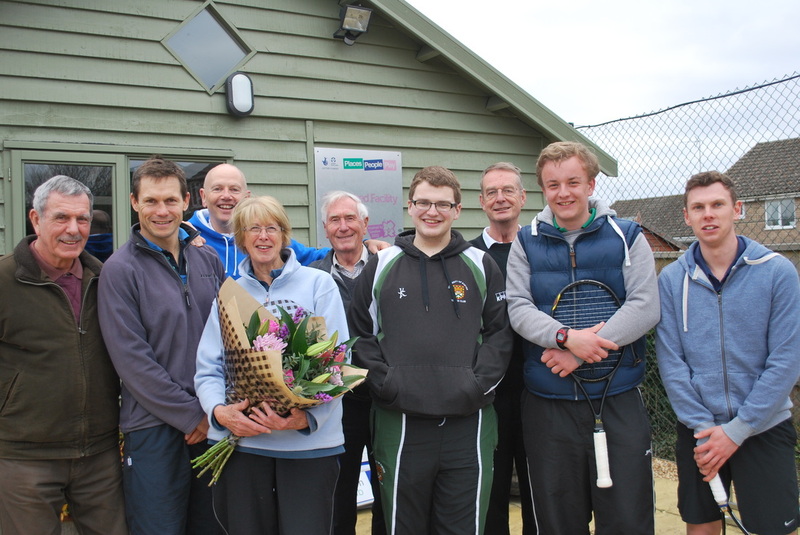 This year the winners were Kathy Norkett and Tom Wiltshire who beat Gillian Pickering and John Priestland. 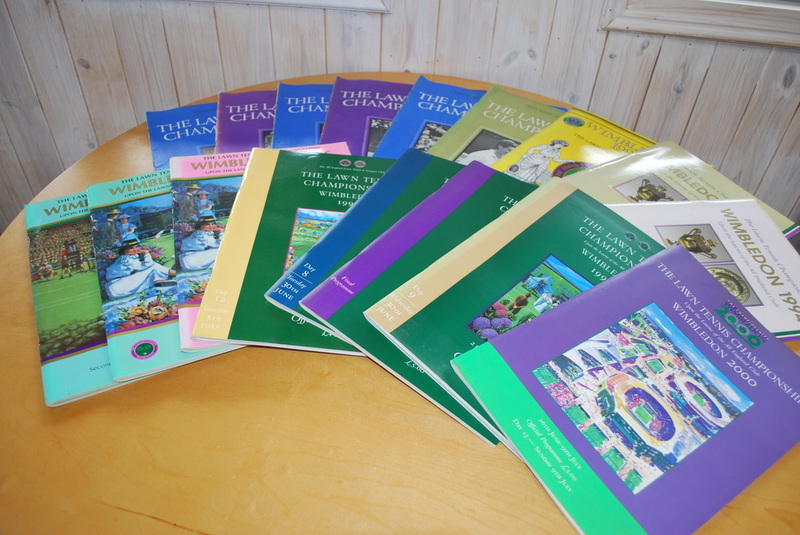 Congratulations to the winners and thanks to all who took part!